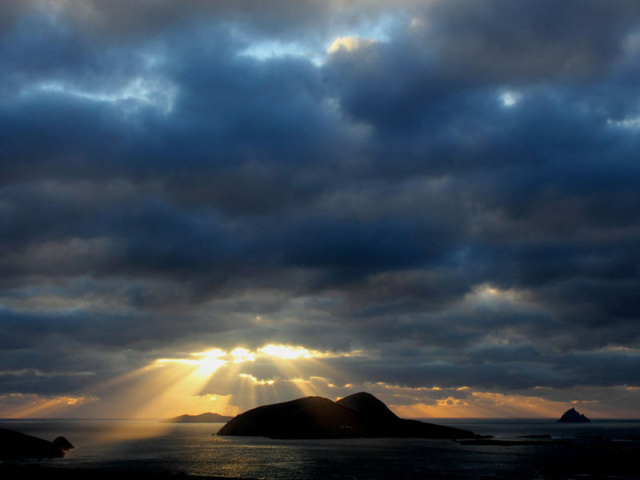 If you have just a day to spend in Dingle and you have access to a car or bike, we suggest you tour Slea Head. 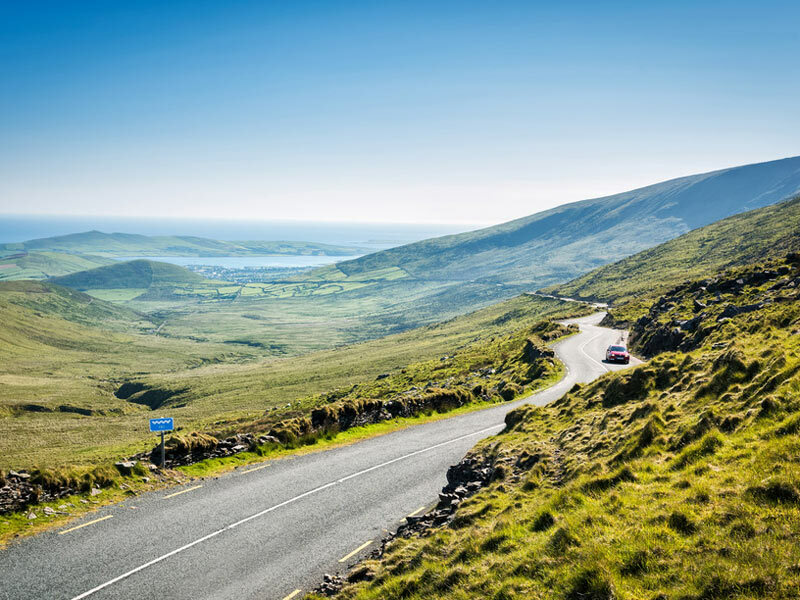 The route is easy to follow, using the road signs all around it, and it really is an excellent way to take in the best the Dingle peninsula has to follow. When you leave the Dingle Bay Hotel and the town, you will cross over Milltown Bridge and pass a wooded area before you reach seaside village of Ventry. Take a short detour and enjoy the expanse of gently curving sand on this Blue Flag beach, an ideal spot for swimming and other water sports. 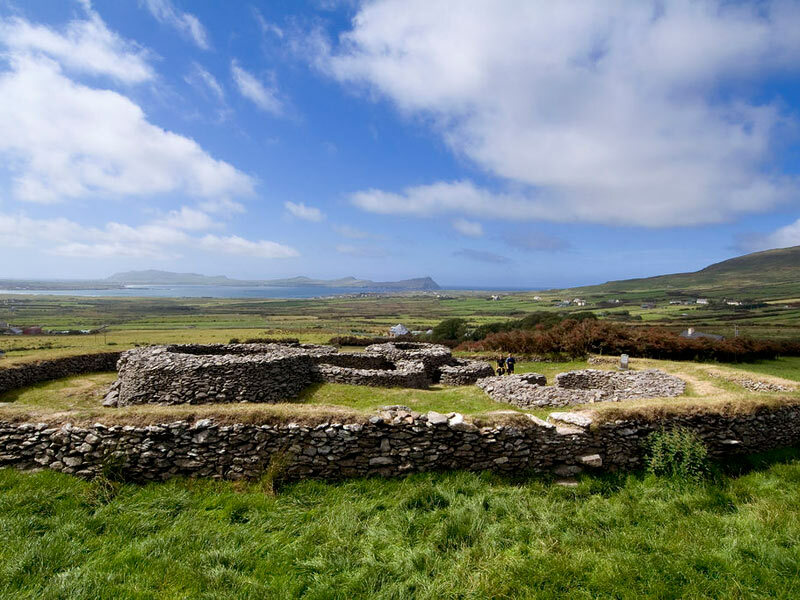 Then it’s westward again, past Dunbeg Fort and panoramic Atlantic views until you reach Slea Head itself, marked by a crucifixion scene in stark white. 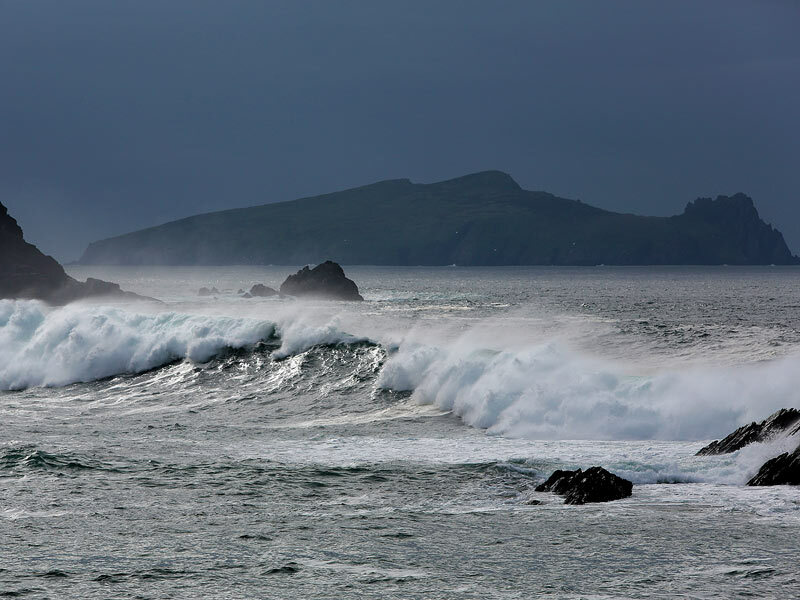 The sheer drama of the ocean here is breath-taking, with jaw-dropping views out toward South Kerry and the Blasket Islands. You then head north past Coumenoole Strand (film set for part of Ryan’s Daughter) and on to Dún Chaoin, where you can catch a passenger ferry to the Great Blasket Island/An Blascaod Mór from the pier. After Dun Chaoin, the drive heads north and east inland to the village of Baile an Fheirtéaraigh / Ballyferriter. 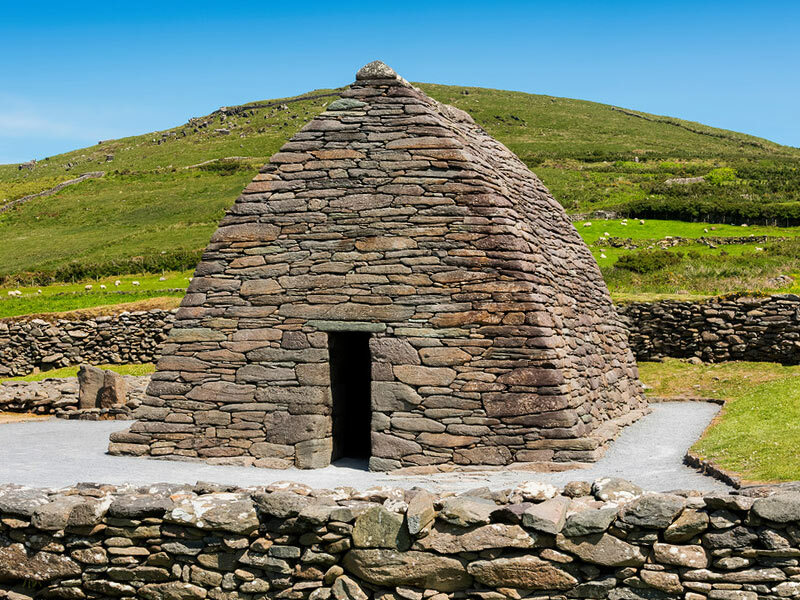 As you head east, you can visit some ancient Christian historic sites, including Reasc and the exquisite Gallarus Oratory, a tiny church resembling an upturned boat that is made entirely of corbelled stone. You’re back on the coast as you arrive in the fishing village of Baile na nGall/Ballydavid and continue on to cliff-top views of thundering waves. 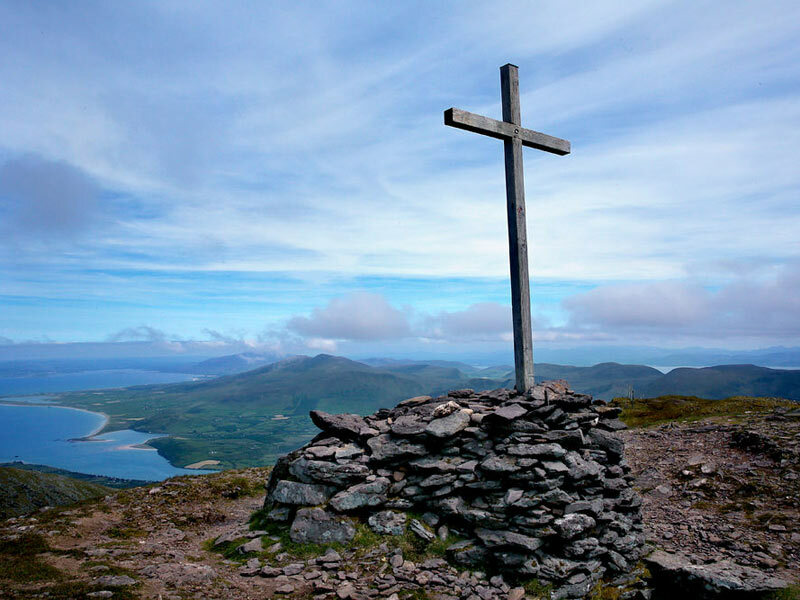 At An Fheothanach / Feohanagh, you cross a bridge to Cuas an Bhodaigh or Brandon Creek, where St. Brendan reputedly launched his voyage to America in the sixth century A.D. You well next travel sought along the base of the mountain that bears his name, the second-highest peak in Ireland. If you are feeling energetic, you can follow the pilgrimage route to the top. Your drive is almost at an end, joining the main road south to Dingle and cresting a hill at Ballinlochaigh to bring you back to the town.